Thirty-one years after Reza Pahlavi was ousted in the Iranian Revolution, most of his epic car collection still gathers dust in a warehouse-like museum 30 miles from Tehran. Here’s a very recent sneak peek at the madness. Pahlavi was the Sultan of Brunei of his day, the man who, utilizing the blurry line between state budget and personal wallet, amassed a truly epic collection of rare and custom cars. Stories abound of him driving Lamborghinis with reckless abandon on the boulevards of Tehran, turned by his security forces into a private raceway. It goes to show that if there’s one thing he picked up from the American spies—led by the grandson of Teddy Roosevelt—who put him in power in 1953, it’s the love of fast cars. The austere and messianic regime that followed his autocratic reign had no use for Italian road rockets, and most of his collection has sat unused ever since. 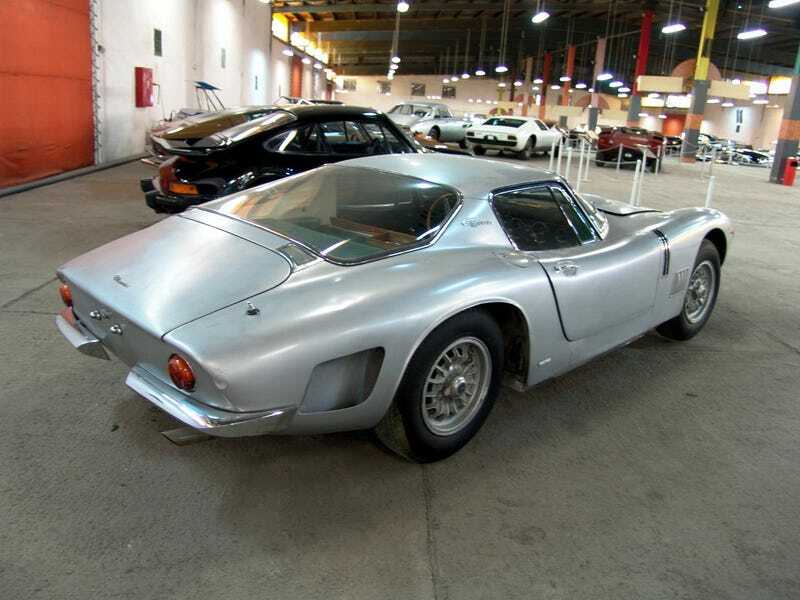 Some have made it out — like his midnight blue Miura SV, now owned by a New Orleans lawyer — and some have been destroyed, but most of the trove is still kicking in Iran, dumped into a glorified warehouse with the grandiose name of National Car Museum of Iran. friends and not entirely useless cab drivers to point you to the building, located northwest of Tehran in the town of Karaj. “[The place is nothing but] a heap of cars strewn about in a haphazard manner. There is a complete lack of useful signage. The museum staff is friendly, but they are absolutely clueless about the cars,” Fomics described to the Hungarian car blog Stipistop. But what a heap of cars! Turns out the Shah had more than one Miura, as there’s a beautiful white example on display, accompanied by a Countach and not one but two a Bizzarrinis, one a roadgoing 5300 GT Strada, the other a Le Mans-racing AC/3. It’s a riot on jack stands. What you hear is the love child of a Chevy small block and Italian titanium pixie dust. Photo Credit: Fomics (click link to see all 263 photos), Getty Images (Reza Pahlavi). Major hat tip to Misi Szilágyi of Stipistop.